These are the prettiest highlighters and bronzers I have came across in a long time. They literally leave your skin looking radiant. My particular favourite is 'Summer of Love', this is a triple baked bronzer. 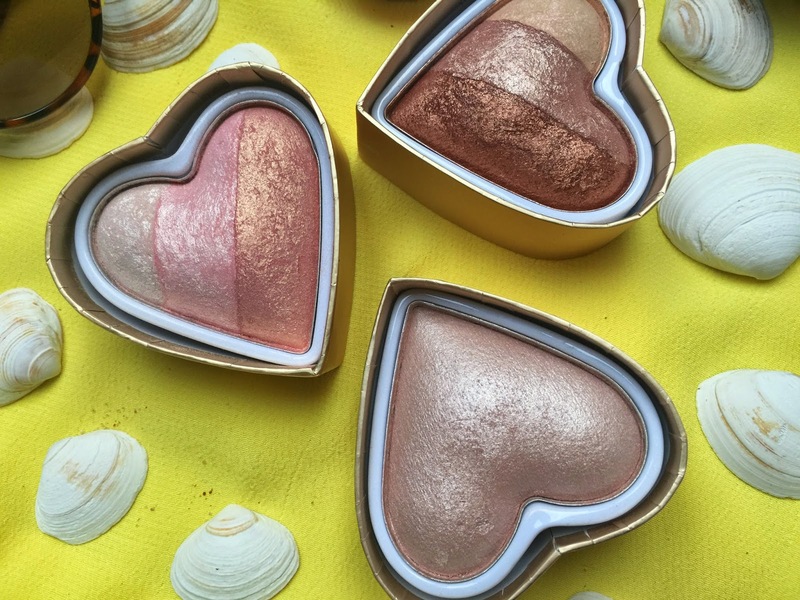 A trio of bronzy goodness, perfect for that special occasion or adding to your summer glow. This is a really great product if you want to enhance your tan - I like to use a summer sun moisturising lotion which builds a gradual tan, meaning I can wear less makeup. Adding a bronzer and shimmer enhances your natural features. Summer of love is very subtle, each tone build able. 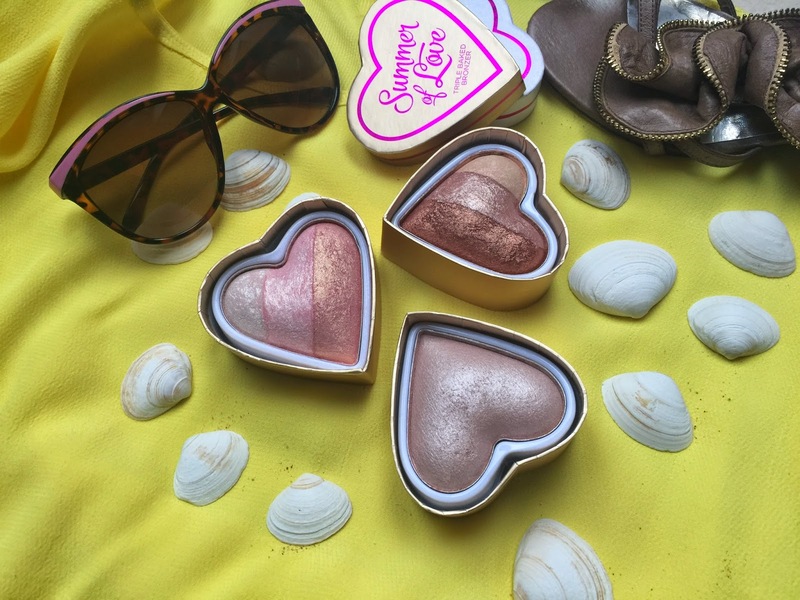 The Blushing Hearts - Iced Hearts is your trio of highlighters and the Goddess of Love - a perfect bronzer. These lovely hearts are encased in their beautiful packaging and are available to buy on the Makeup Revolution shop for £4.99 and their are 12 sensational combinations to choose from. These look incredible and so pretty, I'm definitely going to get one of these!